A safety incentive program can be a big help to your business and your employees, if done properly. Below are some guidelines for how to craft a safety incentive program that meets Occupational Safety and Health Administration (OSHA) requirements. An ongoing debate among employers is whether employees need incentives in order to follow safety protocol, or whether it’s reasonable to expect that they will follow safety procedures just because they should, and not because they are being incentivized to do so. If you are an employer who feels a safety incentive would be helpful, then the key to a well-run safety incentive program is making sure that the benefit complies with legitimate safety rules. As an employer who uses a safety incentive, you need to tie the incentive to promoting safe practices, rather than results. In other words, you want to see a positive effect, like employees who are more likely to follow safety protocols, rather than looking for lagging indicators like a reduction in the number of incidents. You don’t want to offer an incentive that would result in under-reporting safety issues or injuries. 1. Acceptable: Once a month raffle for any employee who complied with workplace safety rules (ex. using hard hats or clean procedures) being entered to win a gift card. This is acceptable as long as there is never a situation where the reward is taken away if an injury or illness occurs or is reported. 2. Acceptable: Offering incentive awards to employees who participate in preemptive safety training or identify unsafe working conditions. 3. Unacceptable: End-of-the-month pizza party for the crew if there are no injuries that happen that month. In this scenario, an employee could be discouraged from reporting an injury because it could mean losing the reward. The incentive could be tied to following protocols property, but it cannot be tied to injuries. In both of the acceptable cases, the employer is welcome to offer a reward to employees who have shown excellent compliance, or to incentivize those who proactively participate in taking safety measures seriously. The idea is that you can offer many kinds of rewards or incentives, but it can’t have the opposite effect of penalizing any worker who makes a report about a workplace safety issue or an injury. Of course, it is within the employer’s discretion to discipline or remove incentives from an employee who is injured as a result of breaking rules. You can also remove the incentive from an employee who broke a safety rule even if no injury occurred. 1. Be reasonable. An employer’s reporting procedure is reasonable if it is not unduly burdensome and would not deter a reasonable employee from reporting. 2. Specifically prohibit retaliation against employees who report a workplace injury or illness. It is important to note that OSHA is clear on its restriction on retaliatory policies. As an employer, you may not discipline an employee following the reporting of a workplace illness or injury. That includes post-accident drug testing. Creating a culture of motivation to stay safe could be a great way for your business to protect employees. 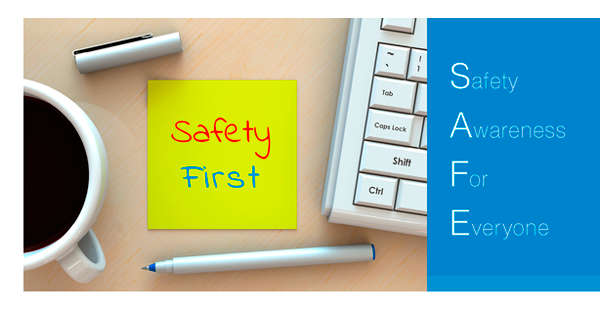 Throughout your hiring and training process, emphasize the importance of following safety protocols; continue to refresh and reinforce that training to all employees on a regular basis. Offering public, positive reinforcement for a job well-done in terms of following safety procedures can go a long way towards encouraging your workforce to work hard and work smart whether you use incentives or not.